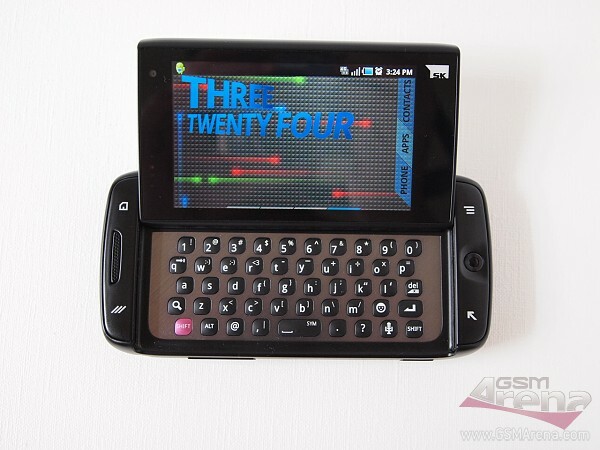 The Sidekick series of QWERTY phones has been among T-Mobile USA’s bestsellers ever since its launch several years ago. All members of the family have featured a full keyboard which pops out through an unusual mechanism. That’s why, when we got the chance to spend some time with the latest member of the highly successful line, we barely hesitated. The T-Mobile Sidekick 4G is a major departure from its predecessors – not in terms of design, but in hardware and OS. While the older Sidekicks were made by Danger or Sharp, featuring a blend of feature and smartphone functionality, the latest one is manufactured by Samsung, packs Android 2.2 Froyo, and quite capable hardware for its price range. The Sidekick 4G is powered by a 1GHz ARM Cortex-A8 processor. It has 512 MB of RAM and a gig of ROM on board. Unfortunately, its screen isn’t AMOLED, but for its price we could hardly expect it to be. The device has one of the most comfortable full QWERTY keyboards we have encountered in a droid so far. Our first impressions of the latest Sidekick are more than positive. It has taken the range to a whole new level. While the previous members of the family were mostly youth oriented, the latest one is a grown up smartphone with a solid build quality and a fairly conservative design (when the QWERTY is not out).